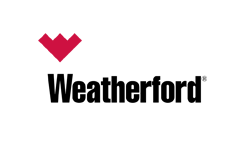 Weatherford is one of the largest international oil and natural gas service companies. The company provides products and services for drilling, evaluation, completion, production and intervention of oil and natural gas wells, along with pipeline construction and commissioning. Headquartered in Switzerland, Weatherford operates in more than 100 countries across the globe and employs more than 60,000 people.